I’ve got Spring Fever! I blame the weather over the weekend, which saw the high temps in the DMV top 60 degrees – not bad for February! And I blame Magic Hat, and their Spring Fever Variety 12-Pak! 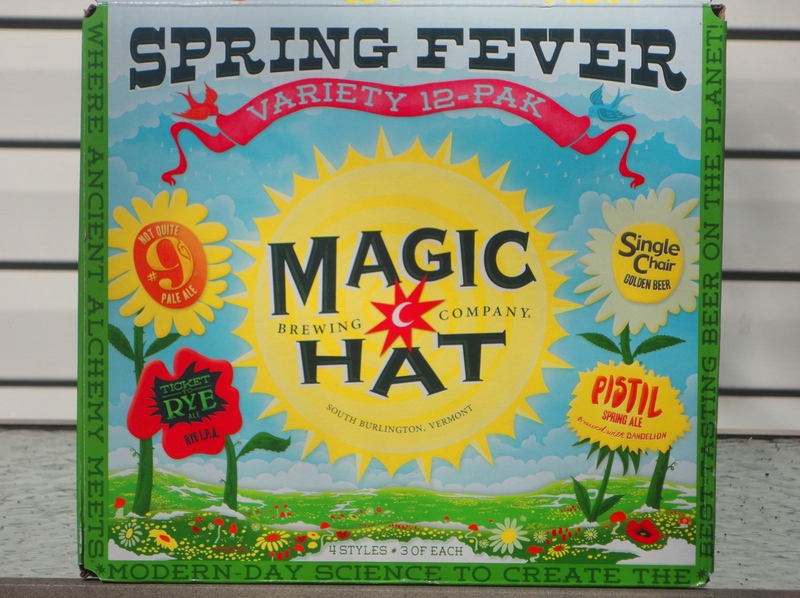 I love how Magic Hat describes this 12-pack: A lively vernal variety that mixes perfectly with the rousing call of spring. Imbibe and Bloom High. The forecast calls for another blast of cold weather at the end of week, so I really enjoyed this taste of spring. I love drinking spring beer because it means spring is on the way! I tried this last February when I went to the Magic Hat Brewery. I am siked to have these flavors back in season! 🙂 The Pistil was my favorite. I’ve never been to Magic Hat but it is high on my beer bucket list!